A troop of students walked down Lowell Avenue, holding signs with messages such as “The climate is changing, why aren’t we?” and “What I stand for is what I stand on” as they chanted for change. 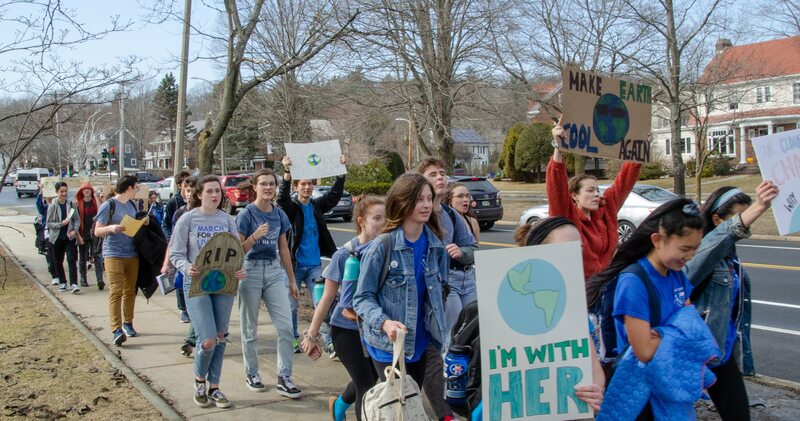 North’s Next Generation Voices club invited students from both North and South to take part in a Climate Change March Friday, March 15 after school. “As young people who have to live with the consequences of climate change, we felt that a call to action was necessary to show how important our climate is and how time sensitive the need for widespread change is,” said sophomore Coral Lin, an officer of the club along with sophomores Alexa Kwon and Calvin Mamis. The march first started at the theatre entrance before making its way to City Hall. Students who participated wore blue and carried signs in order to raise awareness of the impact of climate change. Several people honked their car horns as the group walked by. “It was really nice to have people’s support,” said Lin. At City Hall, members of the club, as well as guest speakers, shared their opinions on the issue and discussed possible solutions. Those speaking at the event were unhappy with the current role of government in limiting the amount of energy used by both businesses and residents. “Because our national government is ignoring the problem at hand, we need to solve this problem,” said Mamis. One way to implement heavy regulations on business would be to implement the Green New Deal, sponsored by New York representative Alexandria Ocasio-Cortez and Massachusetts senator Markey. “While some may say it is too idealistic, I would argue that it’s a necessary comprehension piece of climate legislation,” said Lin. The proposal calls for the federal government to discourage the use of fossil fuels and greenhouse gases. A solution discussed was to give homeowners the opportunity to use 100 percent renewable energy. 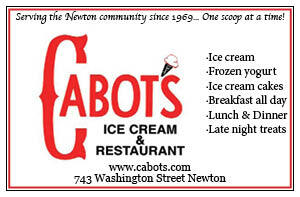 According to Lin, Newton Power Choice, an electricity program for the city of Newton, “gives homeowners the option to use 100 percent renewable energy for less than what they are paying.” The electricity used by buyers would come strictly from the sun or wind.